﻿The Bridon-Bekaert Technology Centre (BBtec) is a world leading centre of excellence for rope technology development, analysis and verification. The Bridon-Bekaert Technology Centre (BBtec) harnesses the wealth of knowledge Bridon-Bekaert has acquired serving global industries for more than a century and combines this with significant investments in personnel, unique test equipment and forensic laboratories. A clear demonstration of Bridon-Bekaert’s commitment to our customers, the BBtec dramatically increases our capability to fast-track the development of innovative new rope technologies to meet the ever increasing demands of the markets we serve. The BBtec will accelerate the development in rope technology that will increase the safety, performance and operational life of ropes working in demanding and hostile environments, typical to our core markets in the Oil and Gas, Mining, Construction and Fishing sectors. In addition to delivering the next generation of rope technologies the BBtec also provides a range of unique equipment for rope testing. 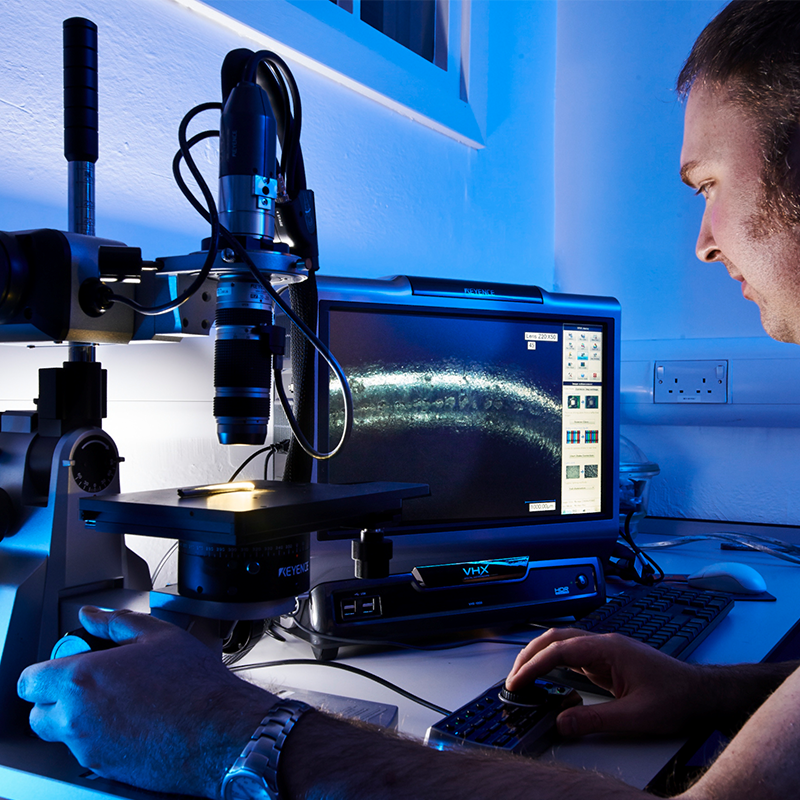 BBtec has extensive forensic analysis laboratory facilities and specialist staff capable of conducting detailed forensic evaluation of new or retired ropes. BBtec expands our ability to support joint ventures and collaborate with leading organisations to provide the products and services that will enable the potentially possible to become economically attractive. 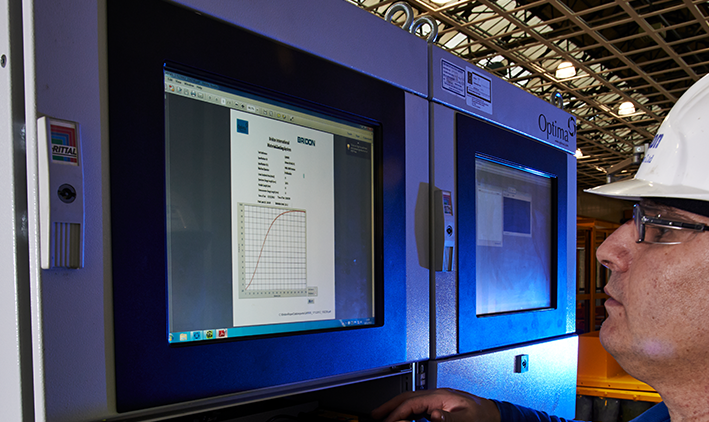 The Bridon-Bekaert Technology Centre’s unique range of purpose-built test equipment, forensic laboratories and bench marked processes enable our dedicated rope engineers and material scientists to accurately capture and quantify operational rope data that has previously not been possible. Expert analysis of these new data streams allows Bridon-Bekaert and our customers to gain deeper insight into rope characteristics and performance. Using this knowledge we can better focus development of new products and rope technologies that will deliver higher performance, increased safety and exceptional reliability in practice as well as in theory. 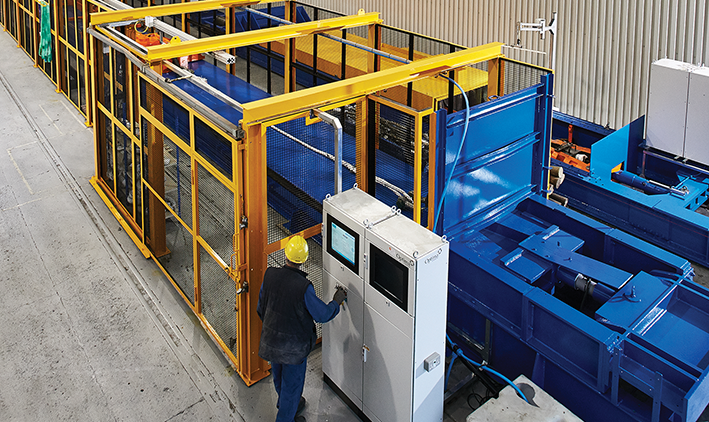 The Bridon-Bekaert Technology Centre (BBtec) provides access to one of the world’s most comprehensive laboratory test facilities for steel and fibre rope and their components. Continued investment in infrastructure, the latest equipment, and on-going development of our personnel ensures that our customers and partners receive technical support of the highest standard. Multi-layer spool winch designs allow industrial winch and crane OEMs to utilise smaller and more economic winch spools. These types of winch arrangements are attractive as they reduce space requirements and therefore cost. However, MLS can cause accelerated rope deterioration due to damage caused by a rope crossing over itself during spooling at high speed or through crush damage. 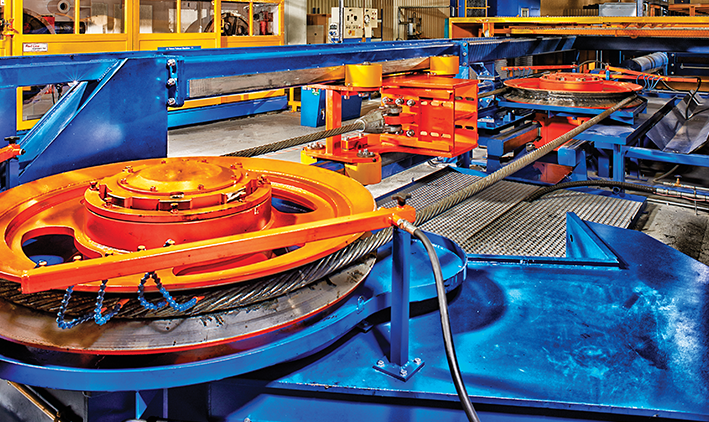 Bridon-Bekaert’s MLS Test Machine allows ropes to be repeatedly tested with cross over and crush resistance measured. 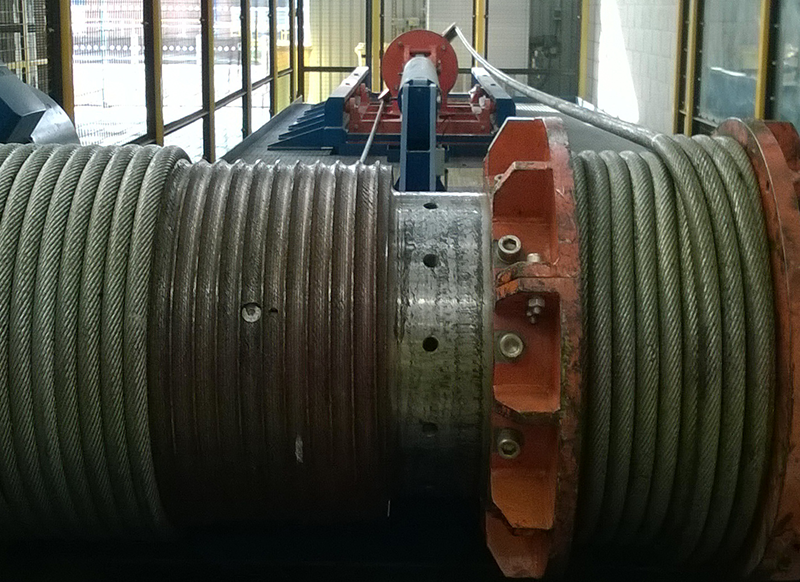 Testing for example of 32mm diameter ropes with maximum loads of 32 tonnes will be used to establish an accurate source of data for use in optimising and developing high performance ropes for multi-layer spooling applications. The quality, integrity and ability of a rope to carry loads safely is a function of the tensile strength of the wire combined with the design and quality of manufacturing employed to produce a wire strand and subsequent rope. To expand our understanding and ability to test and verify new and existing rope designs Bridon has invested in tensile testing equipment for wire and breaking force test equipment for wire and fibre ropes. Bridon has three tensile test machines capable of breaking steel ropes up to 800 tonnes and fibre ropes up to 125 tonnes. These machines are occupied with diameter and rope modulus measurement devices. Different rope constructions exhibit varying degrees of torque and rotation characteristics under load, dependent on rope material and design. To better quantify, understand and then eliminate this phenomenon, Bridon has increased Rope Torsion Testing capability with the addition of a unique 1,500kN Torsion Test Machine. For many applications the life expectancy and performance of the rope is determined by its ability to endure the fatigue associated with repeated bending over sheaves used in lifting, lowering and conveying equipment. Our purpose made Bend Fatigue Machines can replicate these dynamic operating conditions including reverse bending to provide more accurate measurement of the deterioration of rope performance. The BBtec is equipped with forensic analysis laboratories and specialists capable of performing rope strip down examinations to undertake a detailed visual condition assessment (corrosion, lubrication and general wear and tear) of rope and mechanical testing of individual wires to establish aggregate breaking strength. We also carry out metallurgical analysis to determine micro structure and properties of materials and 3D Macro analysis to investigate surface defects and damages on wire rope steel surface. Our customers increasingly avail this service to perform either in-service or post-service analysis of ropes to achieve performance feedback or understand any deterioration levels to improve safety, avoiding unplanned downtime and improve service life of ropes.